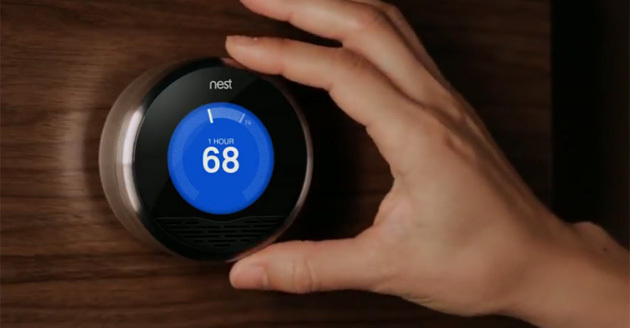 You are here: Home » Blog » News » NEST – The next generation of thermostat for your New York Brownstone. NEST – The next generation of thermostat for your New York Brownstone. Check out this new affordable NEST thermostat. It would be a fantastic addition for your brownstone home, lowering your heating and cooling bill up to 20%. Sometimes people leave their brownstone home and accidentally leave their thermostat at one temperature and forget to change it. Worry no more, NEST learns your schedule and programs itself and automatically turns to an energy-efficient away temperature when you are gone. At least 99% of NESTs have a schedule. Also, you can control NEST from your mobile Iphone or android phone by simply downloading the NEST app. This is a great option for any brownstone landlords. This is the best thermostat that saves energy and cuts costs for your brownstone home.